[New for Spring 2017] I don't know about you, but I'm ok with strawberry being a spring flavor. 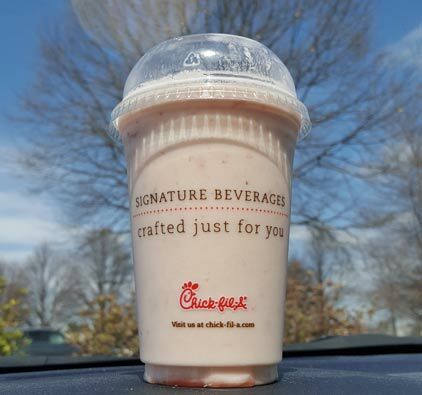 Chick-fil-A has decided to add strawberry puree to their frosted lemonade product which by itself is a mix of lemonade and their ice dream product (something akin to vanilla softserve). To keep it simple, this tastes way more like strawberry than it does like lemonade. I'm guessing the lemonade makes the strawberry pop, but at no point was I thinking about lemonade. Instead, I was distracted by the texture the entire time. I get that people love their frozen lemonade (and frozen coffee right? ), but that doesn't necessarily mean I can quickly transition from my regular milkshakes and coolattas to something so foamy. 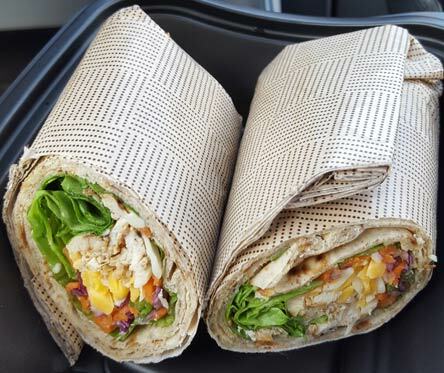 As for the rest of lunch, I did take the recommendation of a few of you and tried the grilled chicken wrap. It was ok. Two things bugged me about it. One, it was fairly dry. I actually removed part of the wrap itself to try and balance it out a little. Two, I don't like how they did the lettuce. The great thing about lettuce is the crunch but the way they layer the lettuce with the wrap almost completely kills that crunch. Instead it's just the weak soft part of the lettuce that doesn't add much. Blah. It felt healthy enough but it was boring. Oh, I was also kind of shocked at how small the wrap looks when they hand it over to you. Overall I felt a little silly for plopping down $12.15 for this meal. I still don't get the waffle fries (I want them to be crisper), the sandwich was too flat, and the drink is a work in progress for me. I think in time I will probably get used to their frosted products, but it's not an instant love for me. For those that live near a chick-fil-a, how long did it take the frosted treats to win you over? 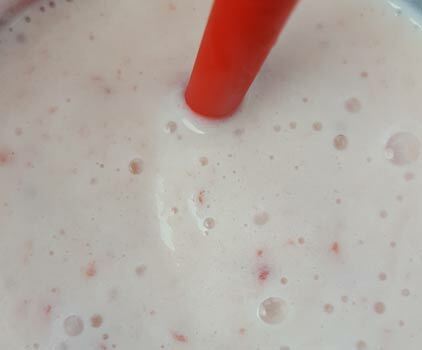 If you live near a Culver's, I urge you to try one of their smoothies this summer. It's a similar concept; Frozen lemonade (which they usually only make from Memorial Day to Labor Day), mixed with custard (which, with no disrespect to CFA has to better than IceDream, right? ), and a mix-in of choice, I recommend the Raspberry. It is absolute awesome sauce. I would if I could but I can't so I won't! But seriously, there's no Culvers in the Northeast, but I assume their custard would make for a better treat than icedream which is purposely designed to be a healthier alternative to soft serve. I totally agree with you on the Cool Wrap. I always prefer a warm sandwich anyways if given the choice. I find it bready. I'm still made at CFA for getting rid of cole slaw and adding a superfood kale side. I also agree about the frosted drinks, but I'm a die hard milkshake fan. Also, unlike so many who are lactose intolerant, I'm lactose enthusiastic. You know who makes a great shake now? Five Guys. You can sort of create your own. The vanilla base is fantastic. The waffle fries HAVE to be ordered double fried. So so so much better. @bryn: wait, that's a thing?!?! Definitely a thing. We do it every single time. I try not to do it in the drive thru bc I feel like a jerk to the people behind me, but otherwise the cashiers don't even blink an eye.